The Castle Inn is located in Delaware Water Gap Pennsylvania, which is within the historical Delaware Water Gap National Recreation Area. This area, at one time touted as a scenic Wonder of the World, has been known by its earliest settlers to present day visitors and residents, as a place for breath taking beauty and refuge. In the Victorian Era, Delaware Water Gap, was described as a place of “bracing atmosphere and altitude which forestalls many of the ills and woes of city life”, and “vies with wonderful sections of the world for a place in the records of distinctive resort sections”. 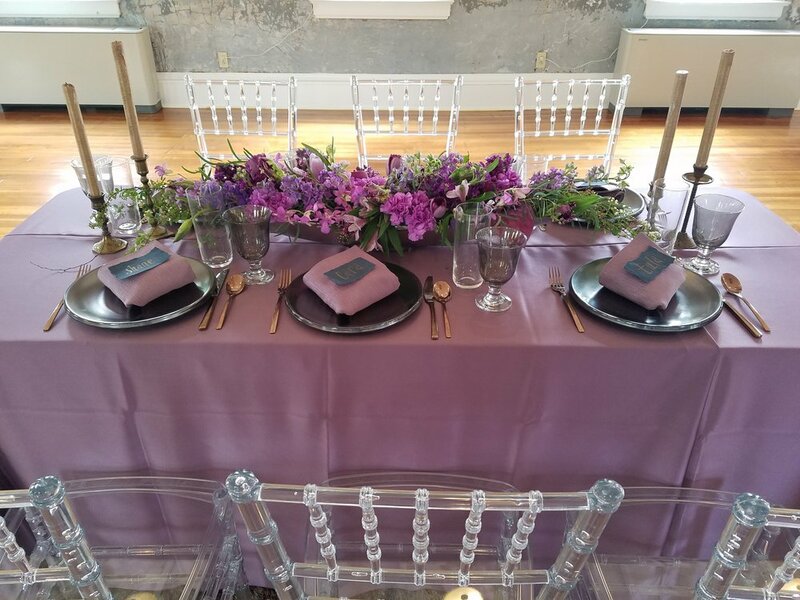 The Hall at the Castle Inn, is a single, private event venue, enveloped within the breathtaking natural beauty of the Delaware Water Gap while blending elegance, history, and comfort, making it exquisitely suited for your perfect event or wedding day. There are two levels within The Hall. The lower concourse level is perfect for cocktail hour or hosting a more intimate event. It can offer a totally different experience with its warm but elegant wicker furniture, original bar counter, and glamorous Bridal Suite for your bridal party to relax, be pampered, and prepare for your special day. The beautiful outdoor terrace with bistro tables and seating is located directly off the concourse for guests to enjoy their cocktails and take in the natural beauty of the area. The second floor contains the main dining room. Tall Victorian Era windows surround the perimeter of room, allowing it to be suffused with natural light that changes the appearance of the room throughout the day. At night, the walls create a romantic backdrop for twinkle lights or your DJ’s stage lighting. It can seat up to 250 guests. For larger parties, the two levels collectively can accommodate up to 300 guests. 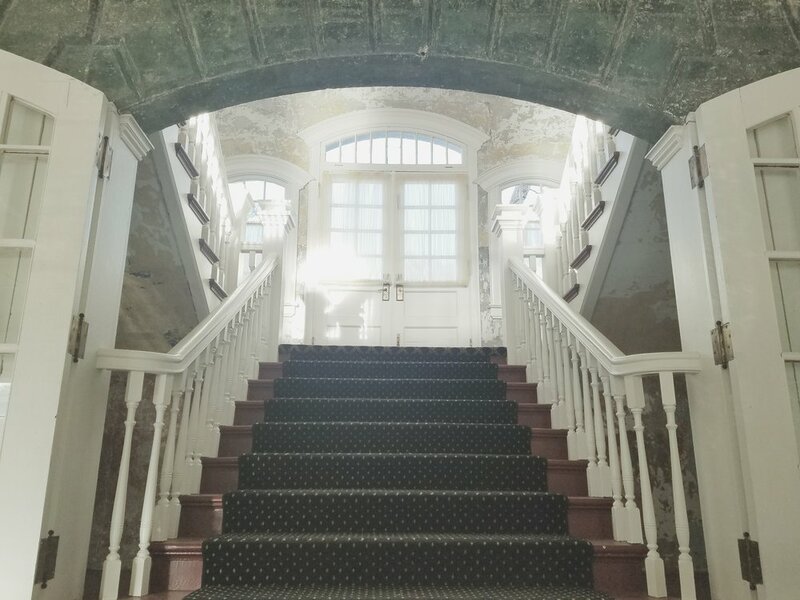 Being equidistant between New York City and Philadelphia, the Castle Inn is within easy access and provides a Victorian flare which resembles a desired retreat from that era to today. It was a place for families to vacation away from the city. And just as it provided its beauty through its accommodations within an area of beautiful scenery back then, it does today, providing the perfect backdrop for your event or wedding. Although many resorts are located within the Pocono Mountain region, many will try to accommodate multiple occasions at the same time. However, at the Castle Inn, the only focus is you! The Hall at the Castle Inn is a single, private venue, belonging to only you for the entire day. Your event is the only event occurring. This makes your day unique, more intimate, and centered on you. Although The Hall is a single event space, many varieties are available to customize your wedding to make it unique. Everything is geared to your special needs including the accommodations for the bridal party within the Bridal Suite, the flexible and spacious flow for your guests to mingle during the cocktail hour, the variety of ways to set up your ceremony, the myriad of setups and decorations available in the ballroom, and a variety of menus for meal selections. In addition, the historical and elegant depiction of The Hall, along with it being surrounded by beauty of the Delaware Water Gap, provides a variety of stunning backdrops for photographs. So you do not have to leave the premises for your photographs, giving you more time to share your special day with your loved ones. A variety of additions are available to add special memories to your day such as vintage décor rental, popcorn machine, a moon photo booth, sundae bar, an ice cream after party, and a sparkler send off.